Lookup, a messaging app that connects local merchants with customers, has raised $2.5 million in Series A funding led by venture capitalist Vinod Khosla's personal fund, Khosla Impact. Hatchery Software Pvt Ltd, which owns Lookup, has also secured money from existing investors Biz Stone (Twitter co-founder), Global Founders Capital (the European investment fund of Rocket Internet's Samwer Brothers) and NR Narayana Murthy's Catamaran Ventures. Lookup will use the funds raised to expand its merchant base and reach out to newer geographies, the company stated in a press release. In May, Lookup had raised $3 million from Biz Stone. 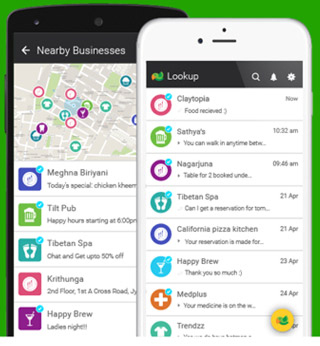 Launched last October, Lookup is a free messaging app that enables consumers to chat with local businesses and shops. It was developed by Deepak Ravindran, co-founder and former CEO of SMS-based search engine services startup Innoz Technologies. An IIT Delhi graduate, Khosla began his entrepreneurial career at the age of 20 with his unsuccessful entry into soy milk business in India. Later, he co-founded Sun Microsystems and in 2004, he set up a venture capital firm Khosla Ventures in Silicon Valley.